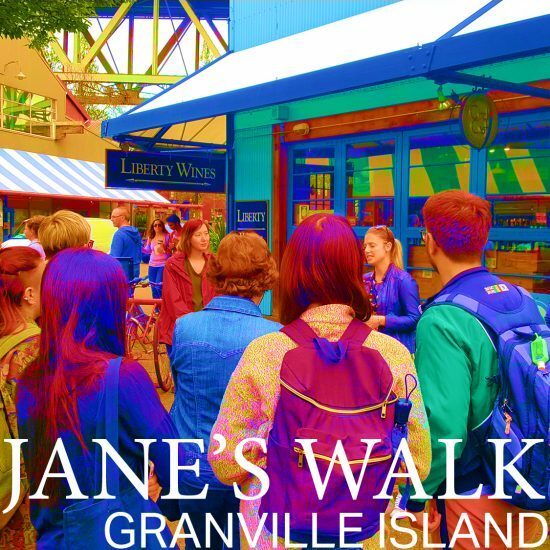 Bunt Transportation Planner Thea Wilson and former Bunt planner Bethany Dobson (now with the Canada Mortgage and Housing Corporation) conducted their first Jane’s Walk around Granville Island on Thursday May 3rd; leading 20 keen participants through a walking discussion on the past, present, and future transportation challenges of the unique, mixed-use area. Bethany and Thea provided their own official (CMHC administers the island) and unofficial takes on why the island still works as an employment hub & destination, why there is so much surface parking, and how things might be changing. They’ve planned this event for some time and it looks like they had fun doing it. For those interested in learning more, these walks were held worldwide the weekend of May 4th – 6th 2018 in Vancouver, Edmonton, Calgary, and Victoria, among everywhere else.